Guests onboard the Azamara Journey and Azamara Quest cruise ships have enjoyed watching Euro Cup 2016 games while onboard. There are some passionate fans among our international crew, as well! The semi-finals begin on Wednesday, July 6th when Portugal and Wales will fight for a place in the finals. The following day, Germany and France battle for a position. A tournament full of upsets means we’re in for a Euro Cup final match-up many wouldn’t have predicted! The four semi-finalist countries also happen to be four fantastic travel destinations! Find out how you can cruise to these AzAmazing European destinations. Holyhead, Wales has been inhabited since prehistoric times and is a jumping off point for exploring northwest Wales and the Isle of Anglesey. It’s incredibly scenic, with steep cliffs, gorgeous lighthouses, mountains, lakes, and waterfalls. The Ffestiniog Railway is the oldest Welsh narrow gauge railway and has been restored. Steam trains run almost 14 miles through the picturesque countryside. The Azamara Journey will cruise to Wales in July 2017, on our PerryGolf 13 Night The Open Voyage. Azamara Shore Excursions tours can take you on countryside drives, to ancient castles, for traditional Welsh Tea, and more. Portugal is a fantastic country to cruise to, thanks to cities like Lisbon, Madeira, Porto, and Portimão. Lisbon is one of the oldest cities in the world and has much to offer first-time and return visitors. It’s a cultured city of great art and architecture. Highlights include Vasco da Gama’s famous tomb at the Jerónimos Monastery, the Castle of São Jorge that towers above the city, and the stunning Pena Palace in nearby Sintra. While in Lisbon, take a ride on Tram 28. The vintage yellow tram is a fun, affordable, and memorable way to explore Lisbon’s best neighborhoods. Browse upcoming voyages to Lisbon. The island of Madeira, Portugal, is famous for gardens and gastronomy. While here, explore the local markets, pay a visit to the Madeira Wine Lodge, and embrace “the floating garden of the Atlantic”. The Azamara Quest calls on Funchal, Madeira, Portugal in November 2017. Food and wine lovers should look at itineraries calling on Porto, Portugal, while beach buffs should consider Portimão in Portugal’s southernmost region of Algarve. Browse three upcoming voyages to Porto. Browse two upcoming voyages to Portimão. Cruising to the seaside resort town of Warnemunde, Germany, provides guests with several options. The towns of Warnemunde and Rostock are worth exploring in and of themselves. Or, guests can travel to nearby Berlin. In Berlin, the options are endless. Get around on a rented bicycle, indulge in a pretzel (perhaps wash it down with a beer), and don’t miss snapping four quick photos of yourself in one of the city’s famous Photoautomaten photo booths. Admirers of architecture will love the mixture of old and new. Don’t miss the Reichstag, home to Germany's parliament, the iconic Fernsehturm tower, or the beautiful Charlottenburg palace and gardens. Art lovers will enjoy the Kulturforum museum for early European paintings, and the Neue Nationalgalerie for 20th century works. Stop at the Bauhaus Museum to see displays of furniture, photography, sculpture, ceramics, and more. History buffs will want to visit the Holocaust Memorial, the Jüdisches Museum, the Neue Synagogue, the remains of the Berlin Wall, and Checkpoint Charlie. Browse upcoming voyages to Warnemunde/Berlin, Germany. France is hosting the 2016 Euro Cup and is a favorite among experts to win. The country is also home to some incredible travel destinations, both in the Mediterranean and further north. In the Med, favorite ports include Porte-Vendres, Sète, Marseilles, Saint-Tropez, Cannes, and Nice. Browse three upcoming voyages to Port-Vendres. Browse three upcoming voyages to Sète. Marseilles, France, was a favorite destination of Julia Child’s, so expect great food. The fishing village may be less glamorous than some of its Provençal coast neighbors, but its rich history gives it an irresistible old-world charm. Browse upcoming voyages to Marseilles. 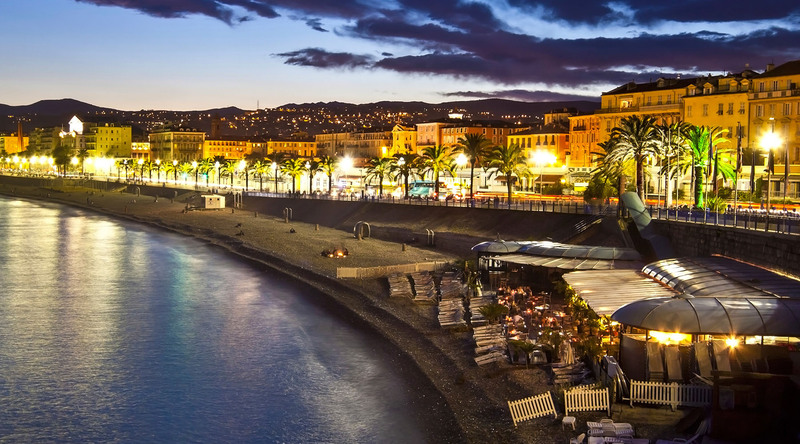 If it’s the glitzy French Riviera you want to experience, look no further than Saint-Tropez, Cannes, and Nice. These towns are perfect for sunbathing, people-watching, shopping in trendy boutiques, and sipping rosè at sidewalk cafes. Did you know that Azamara Club Cruises was named the Best Ambassador for the French Riviera in 2016? It's true! We love cruising to this timeless region. Find upcoming voyages to Saint-Tropez. Browse upcoming voyages to Cannes. Find upcoming voyages to Nice. If the French Riviera lacks a certain je ne sais quoi, perhaps northern France is more your speed. Bordeaux is a favorite with wine lovers, and our ships dock in the heart of the town. The Azamara Journey cruises to Bordeaux in 2017 and 2018. Get ready for incredible wine, stunning chateaus, rolling vineyards, and beautiful architecture. History buffs should consider a voyage to Cherbourg and the D-Day beaches, a trip travel expert Jean Newman Glock called “the ultimate experiential travel”. Browse upcoming voyages to Cherbourg, France. Northern France has its share of quaint villages, too, the highlight being Honfleur. Honfleur charms visitors with its cobblestone lanes, elegant houses, and bustling town squares. Browse upcoming voyages to Honfleur, France. And if you think northern France lacks beaches, think again! St. Jean de Luz is famous for Grand Plage, a large sandy beach found in the center of town. The Azamara Journey calls on St. Jean de Luz in both 2017 and 2018. Before or after your French cruise, why not spend a few days in Paris? Before going, be sure to read our guide: How To Spend 36 Hours in Paris. We offer sample itineraries for first-time travelers and seasoned visitors. On Sunday, July 10, only one country will be named the 2016 Euro Cup victor. But you don’t have to choose among Wales, Portugal, Germany, and France! All four wonderful countries should be on your travel bucket list. And it’s easy to check them off on our one-of-a-kind voyages!